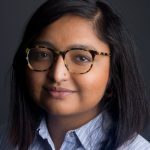 Rahima Nasa is a reporting fellow for ProPublica’s Documenting Hate project. A journalist who covers crime, courts and politics, she has worked for The New York Daily News and “The Brian Lehrer Show” on WNYC, among others. She graduated from the CUNY Graduate School of Journalism and is a Bangladesh-born native New Yorker.